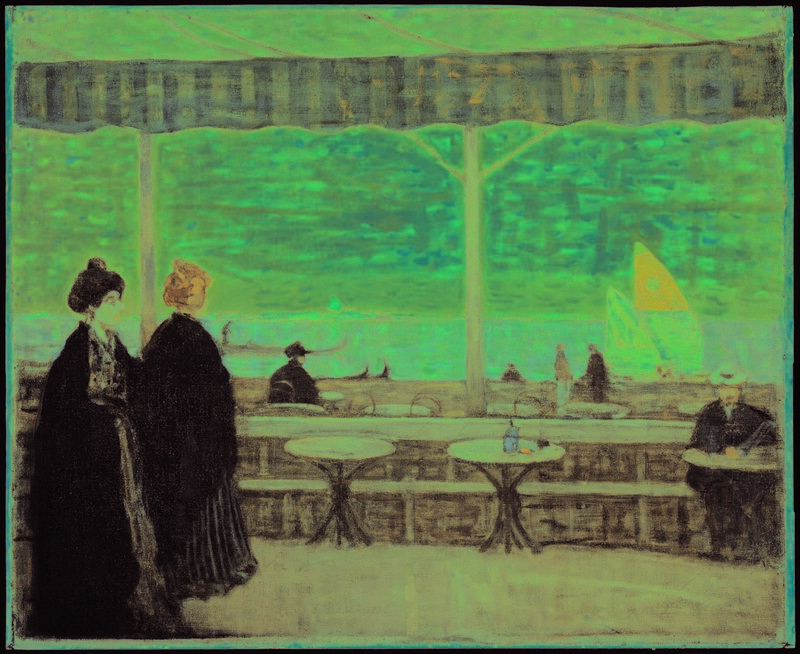 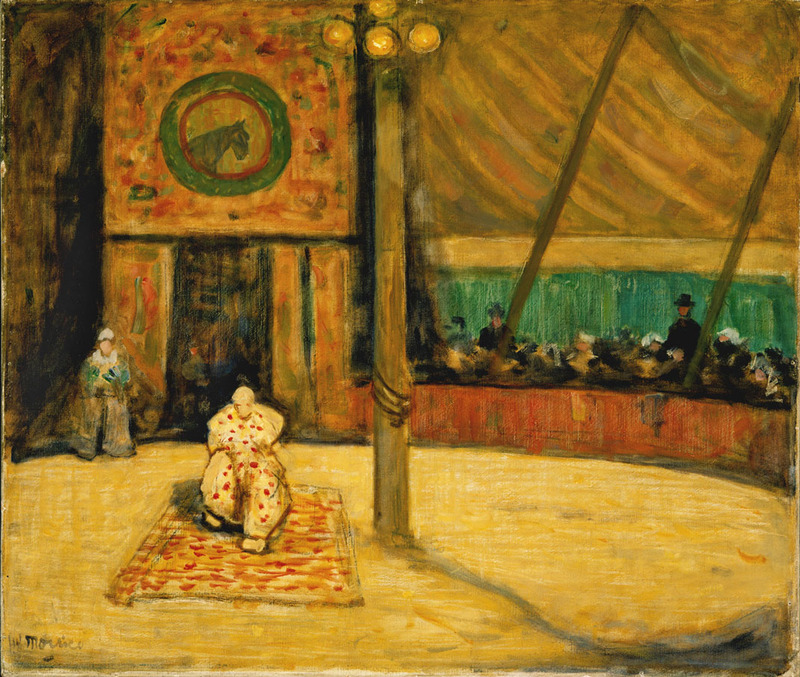 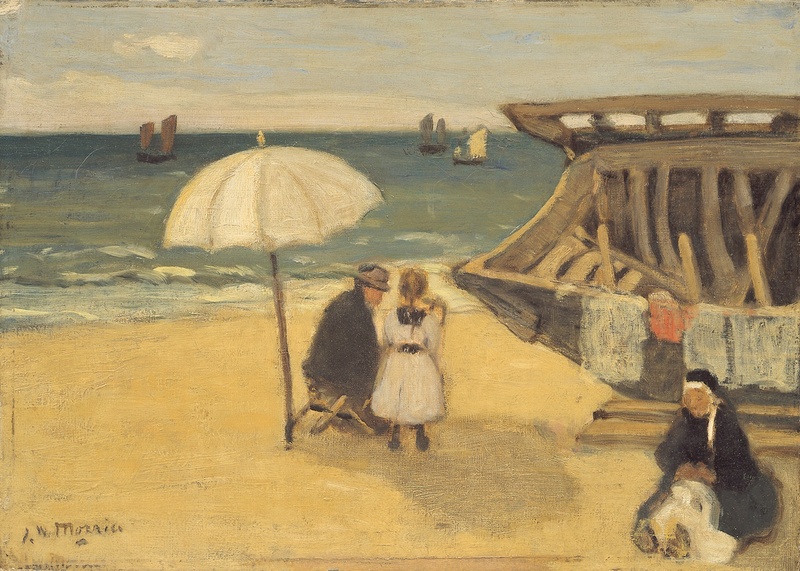 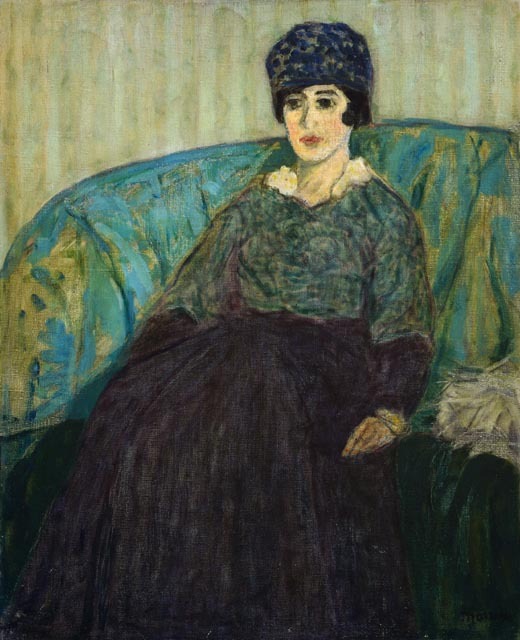 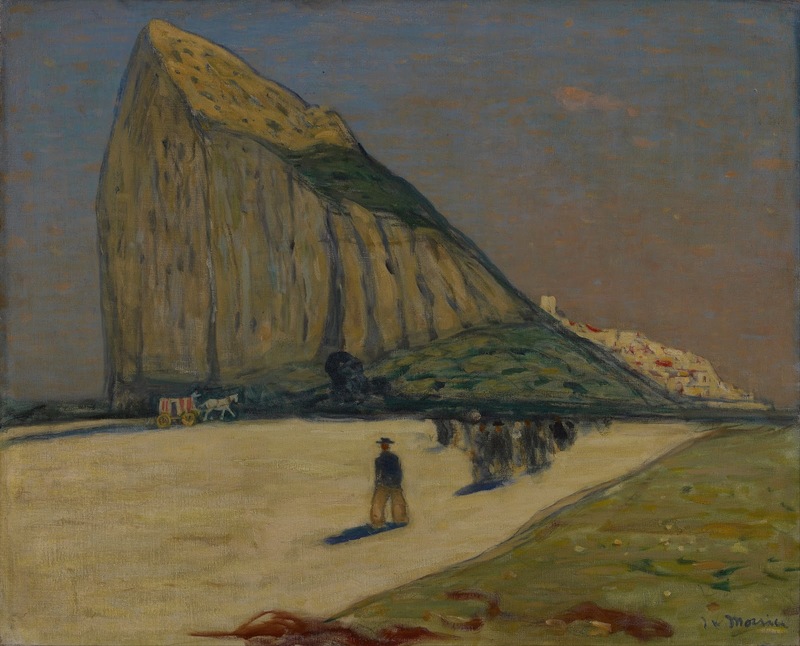 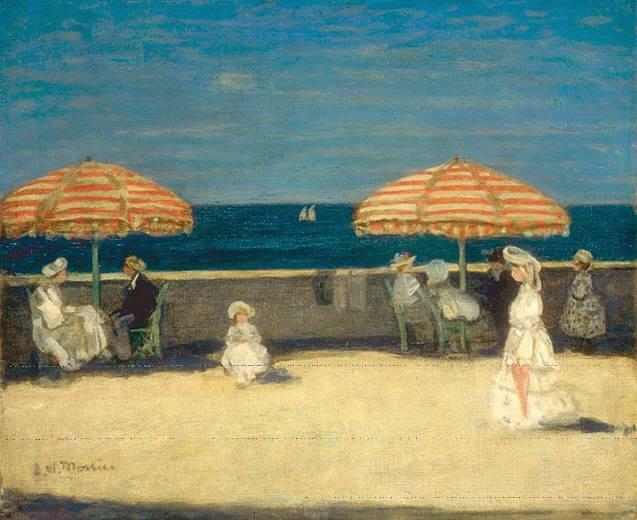 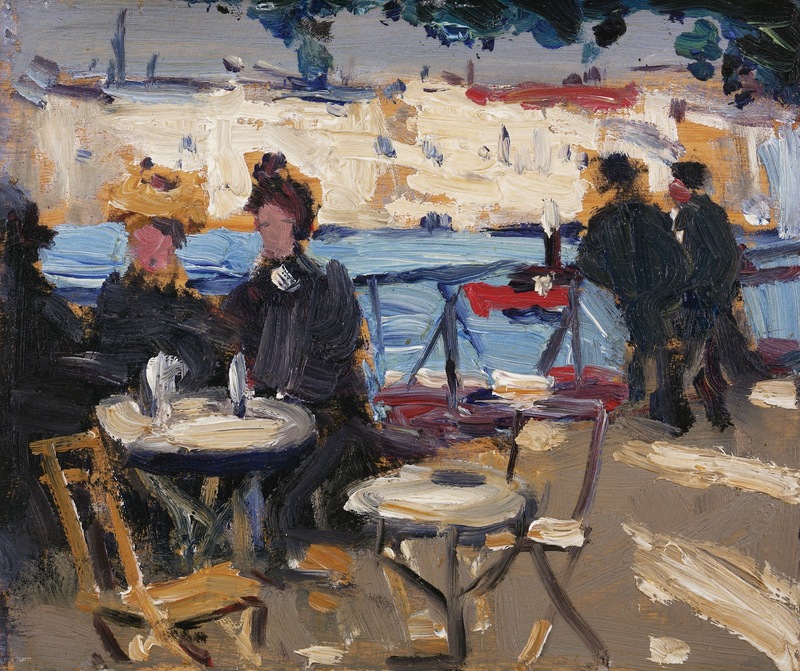 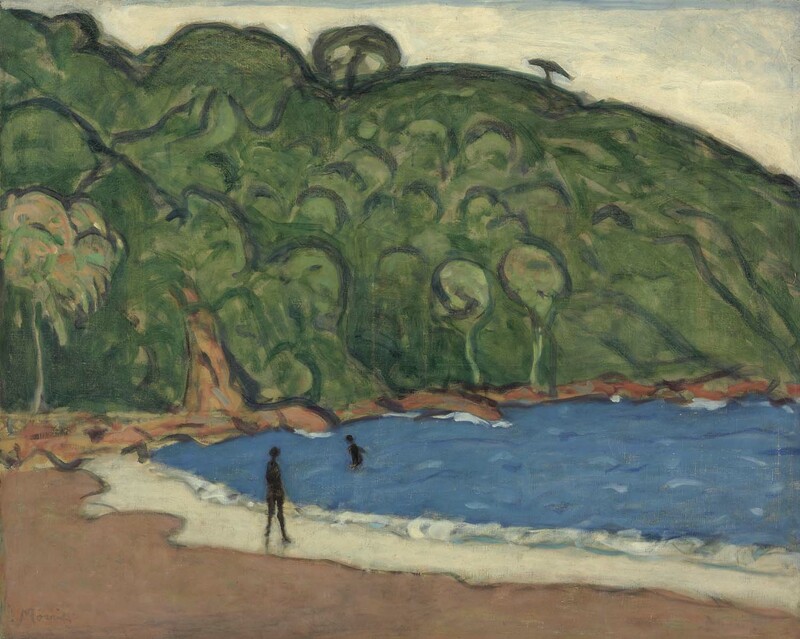 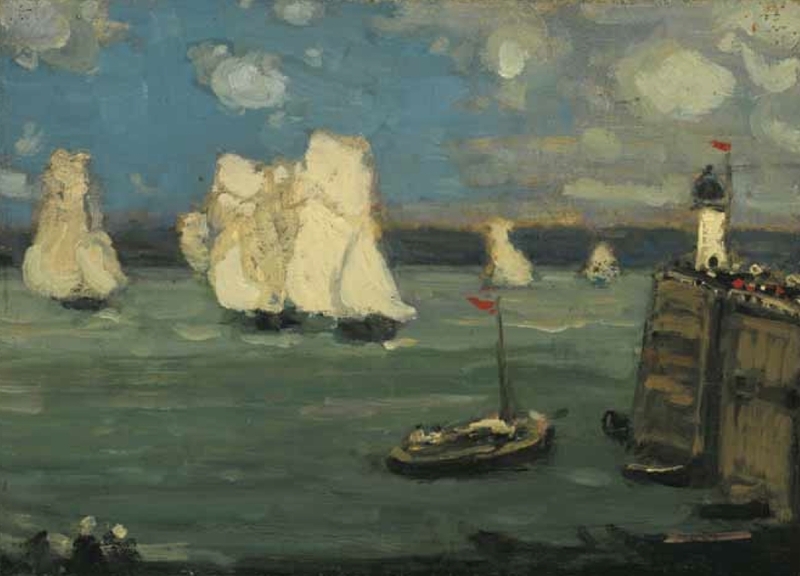 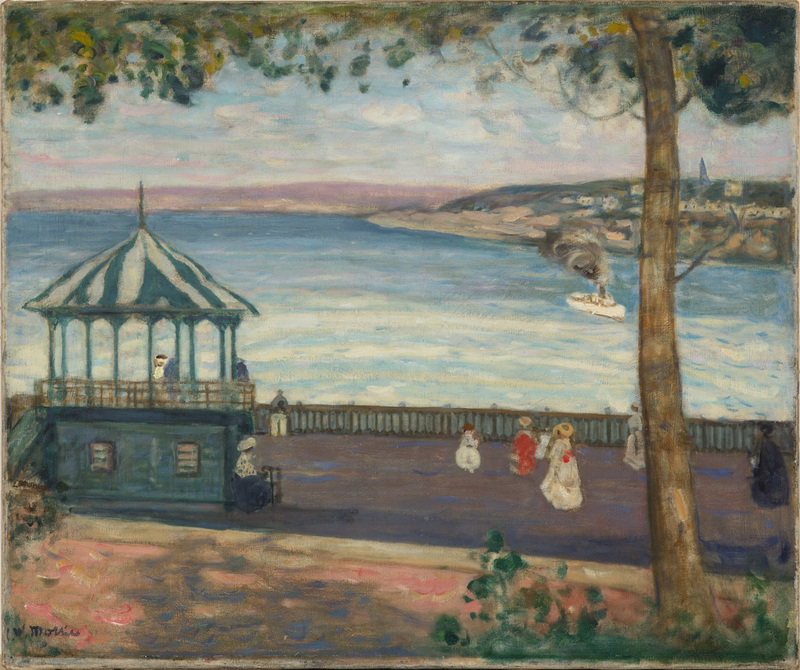 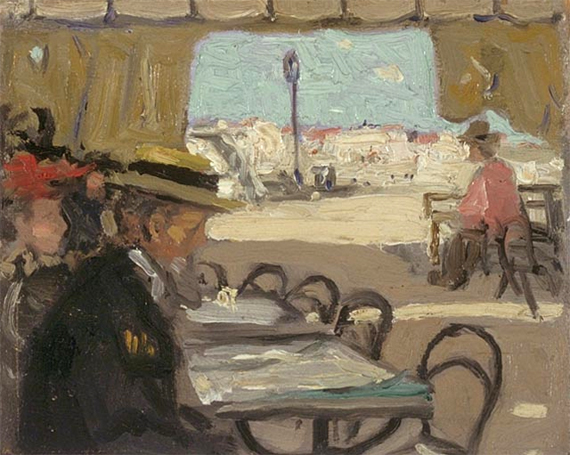 James Wilson Morrice [1865 - 1924] was one of Canada’s first modernist painters. 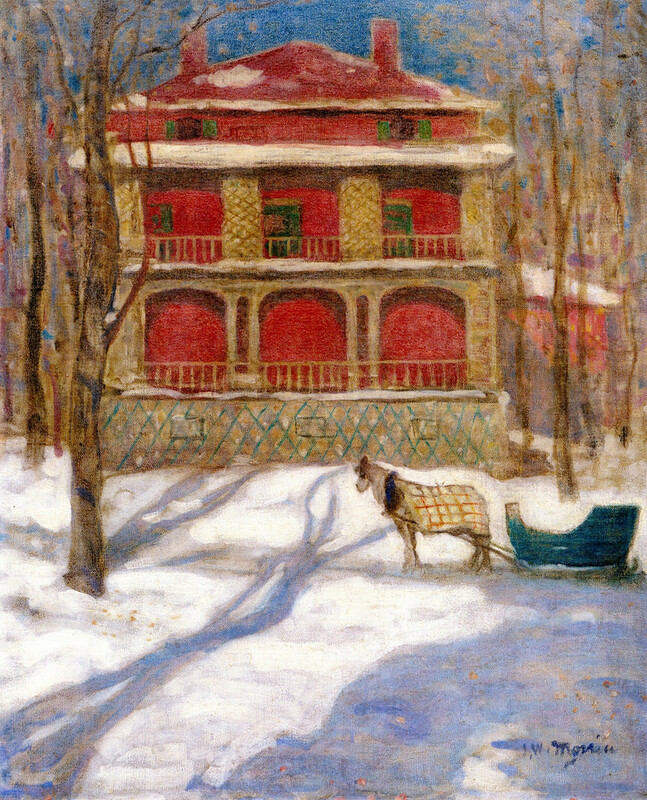 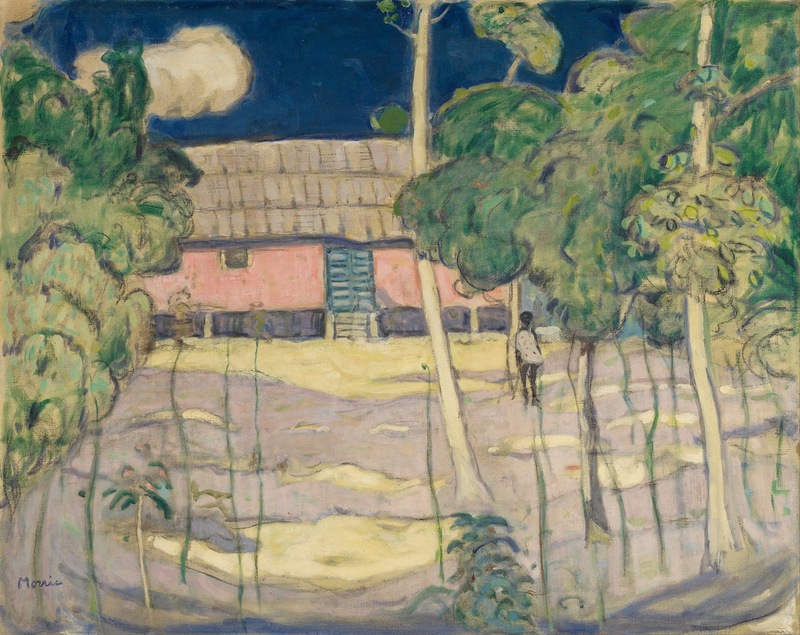 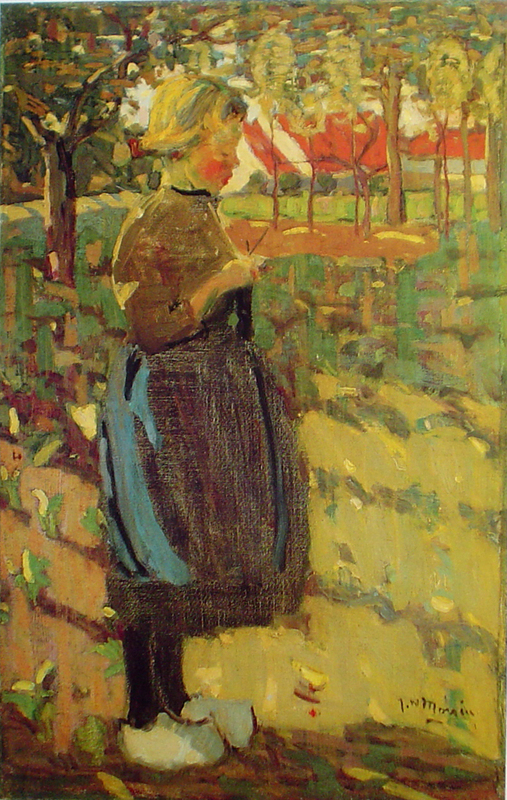 His landscapes, which showed the beauty of the country in a way the world had never seen before, helped form the identity of Canadian art, and his commissioned war scenes brought a new perspective to World War I.
Morrice originally studied law in Toronto, but decided to pursue art instead. 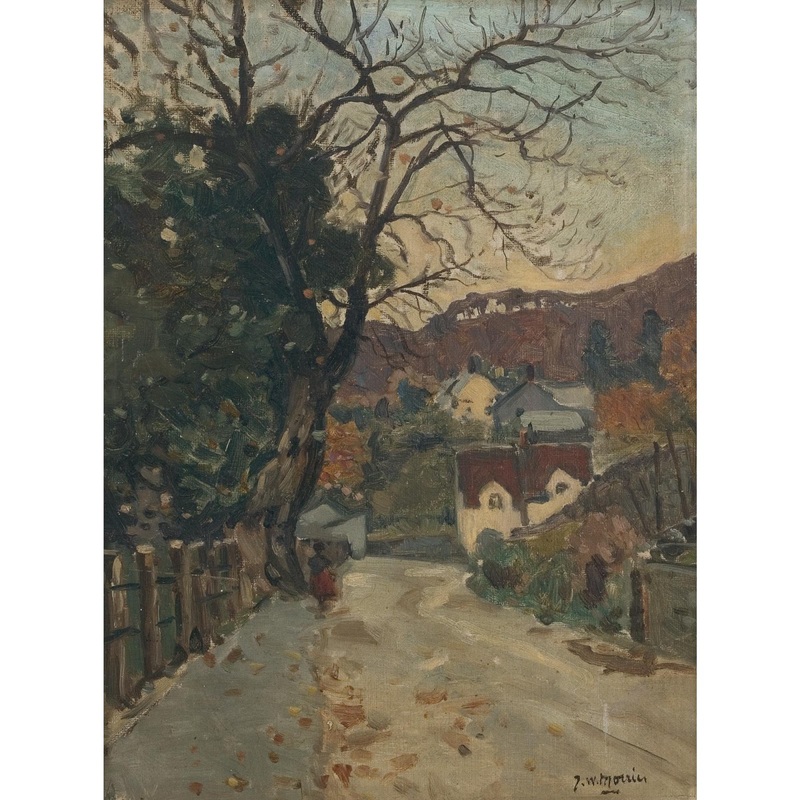 After moving to Paris in the early 1890’s, he studied at the Académie Julian, and under the Barbizon painter Henri Harpignies. 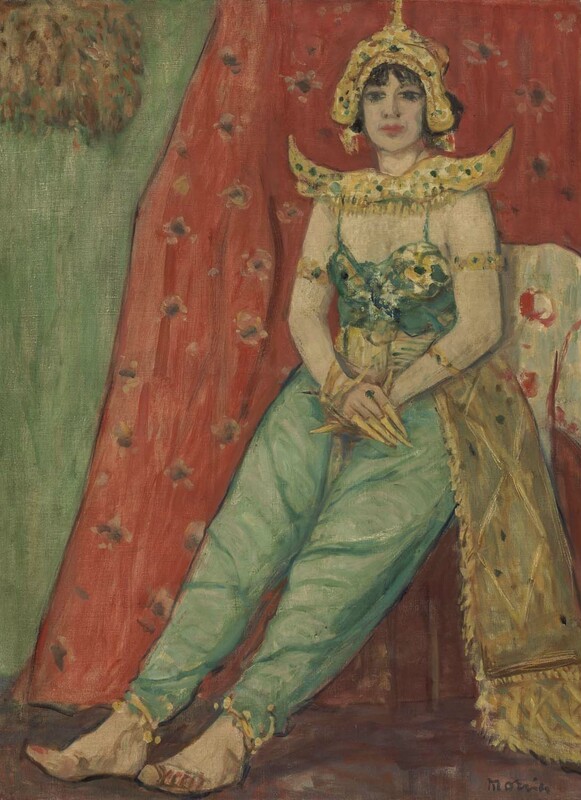 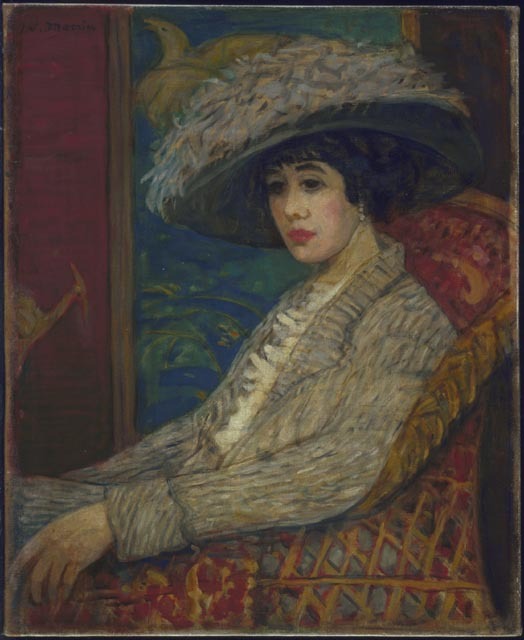 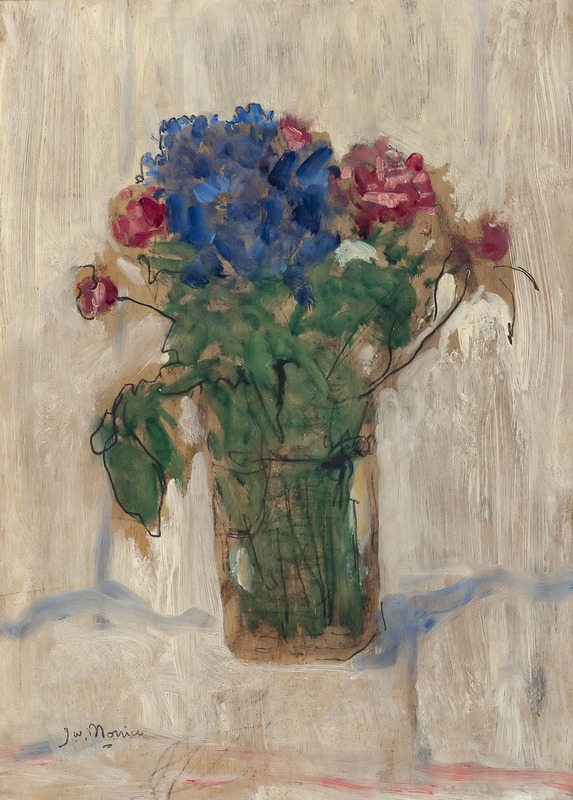 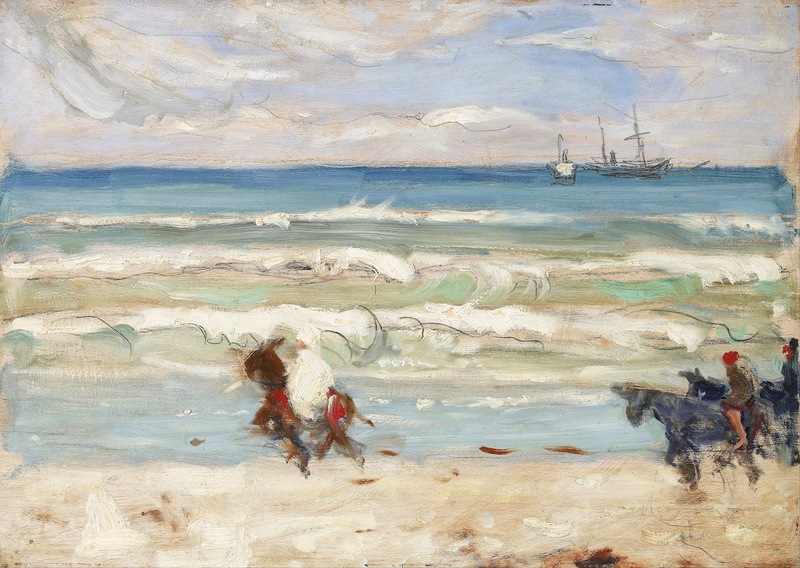 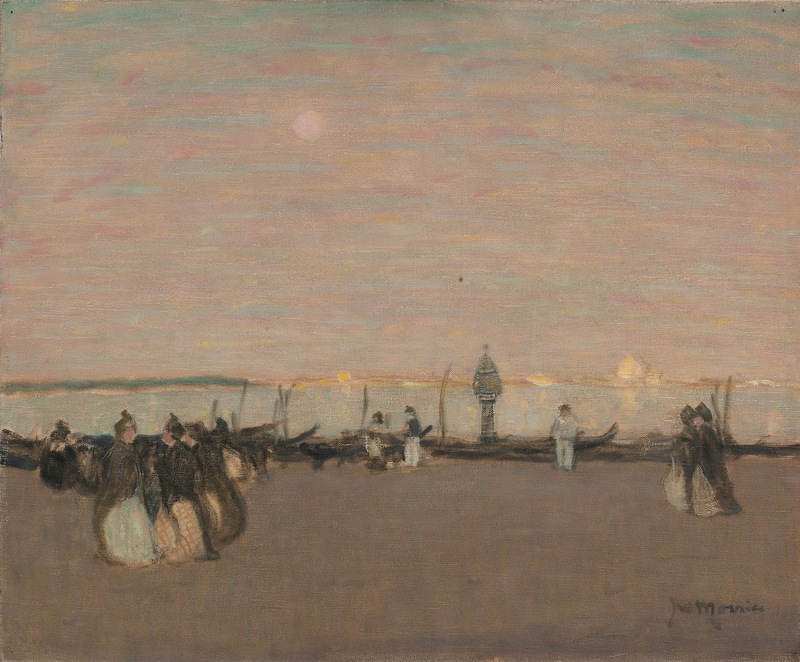 His landscapes of the period show the influence of American painter James McNeill Whistler, but by 1905, his work became more Post-Impressionist. 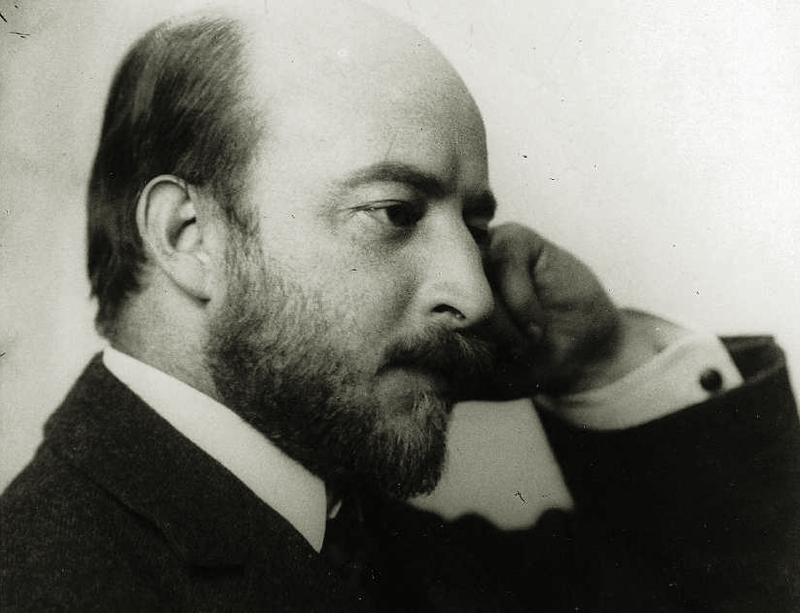 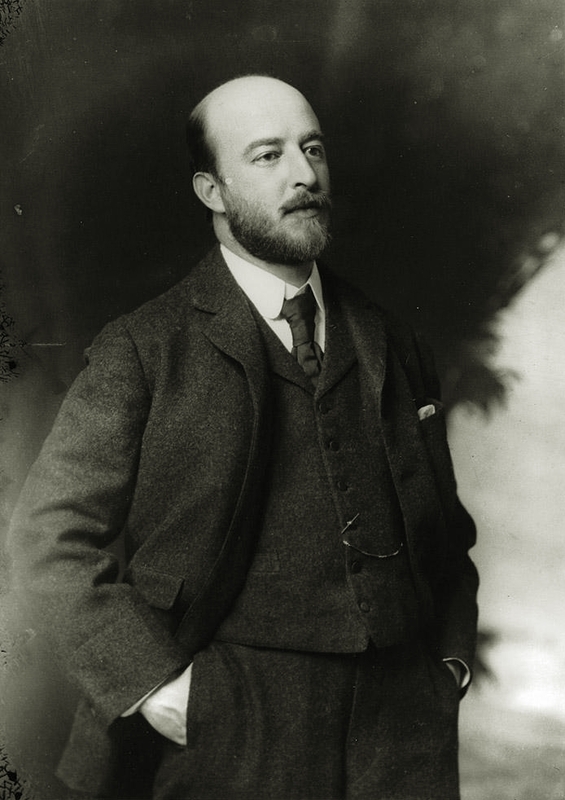 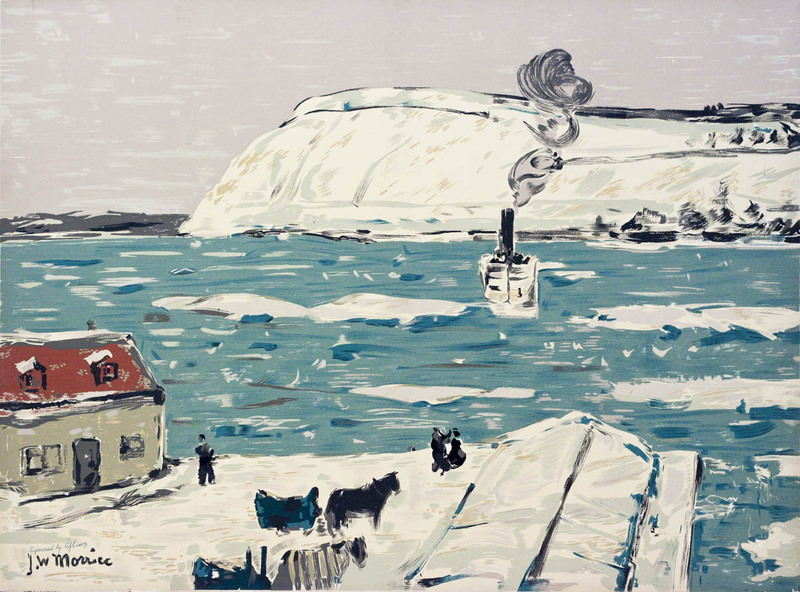 He visited Canada often, creating some of his best work in his home province (The Ferry, Quebec, 1907). 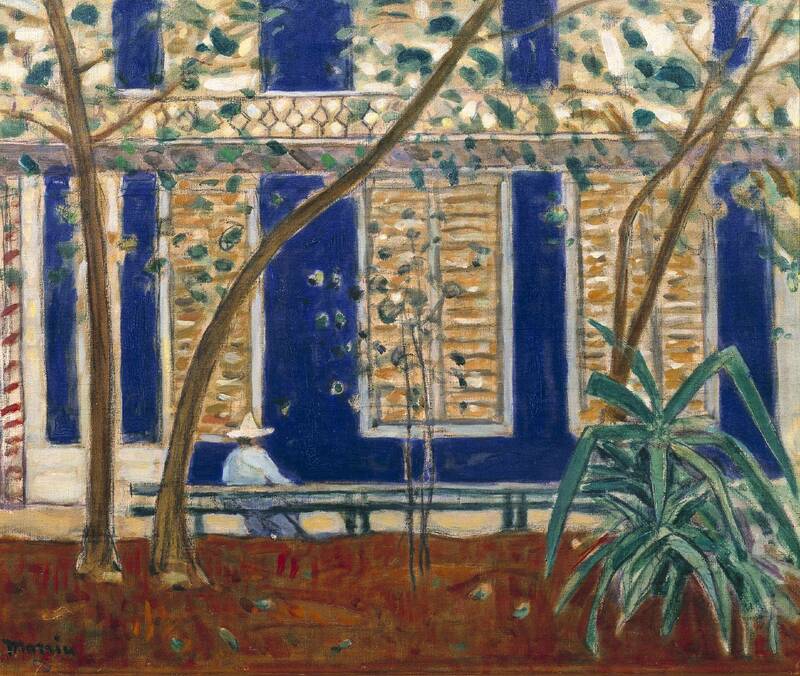 He became friends with Henri Matisse, who was associated with the Fauve Movement, and in 1912, they travelled to Tangiers together. 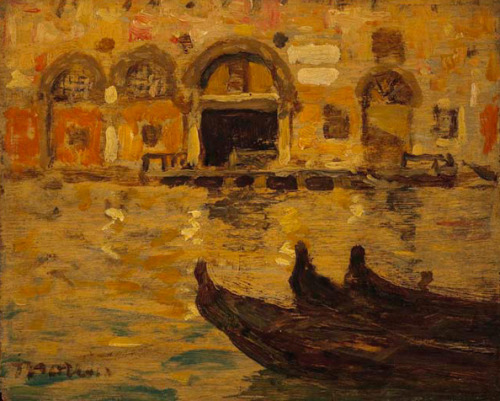 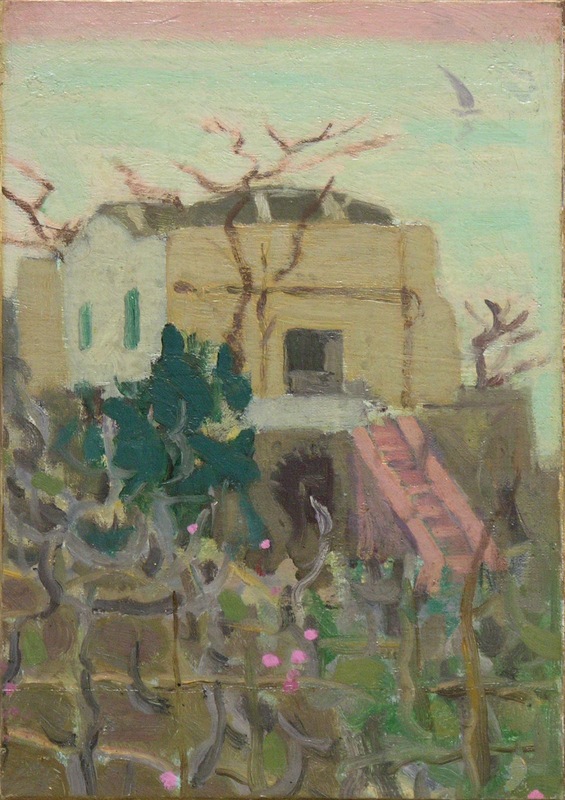 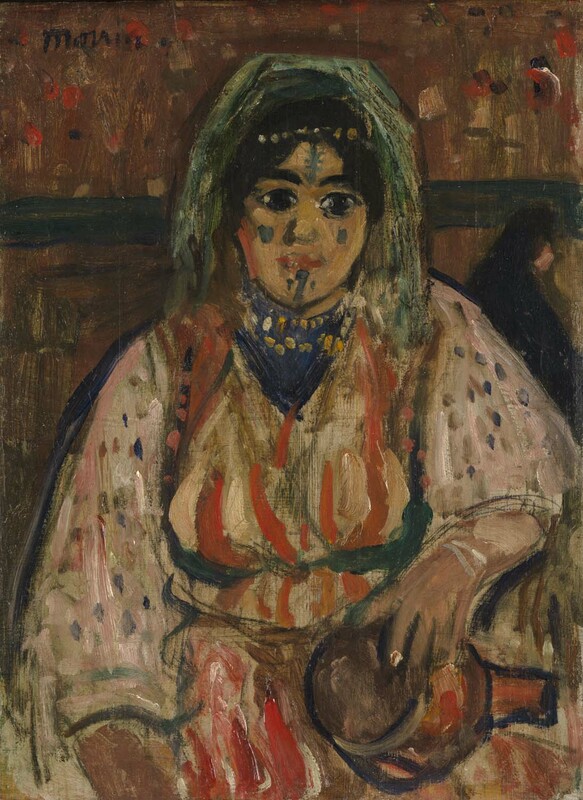 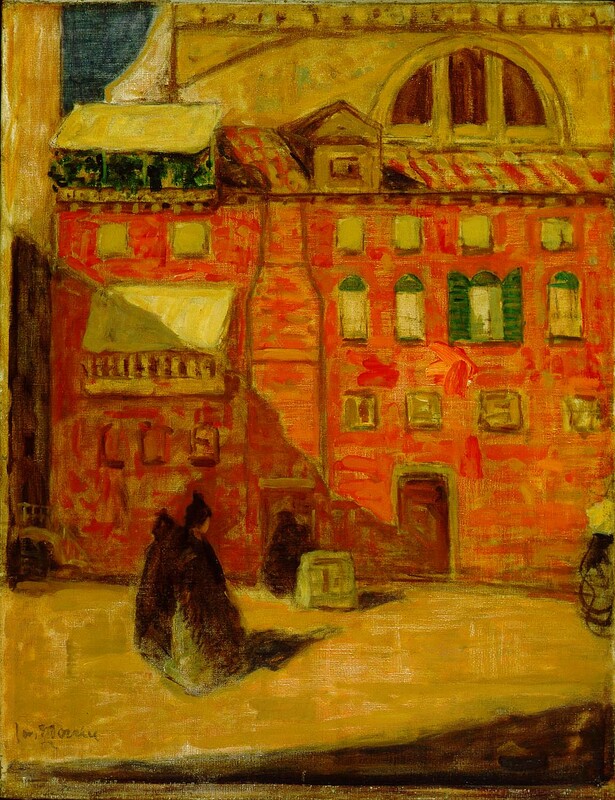 Morrice would also travel extensively through North Africa, the West Indies, Cuba and Venice, searching for the warm light and rich colours found in many of his paintings. 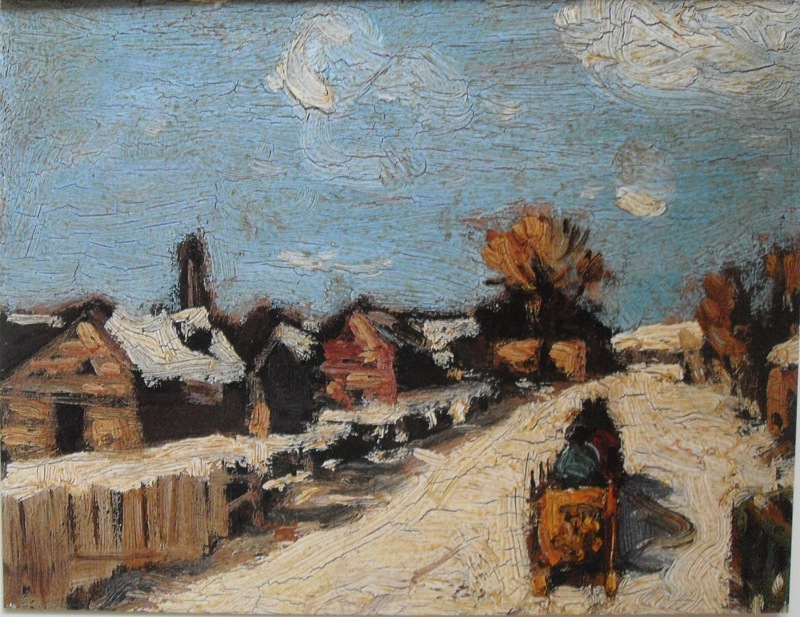 During World War II, Morrice was commissioned by the Canadian War Records to paint on the front lines. 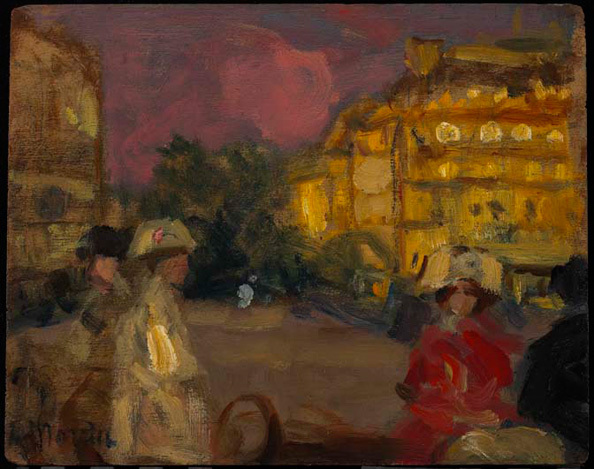 His moving portraits of marching soldiers would be considered some of the best representations of war in art (Soldiers in France, 1918). 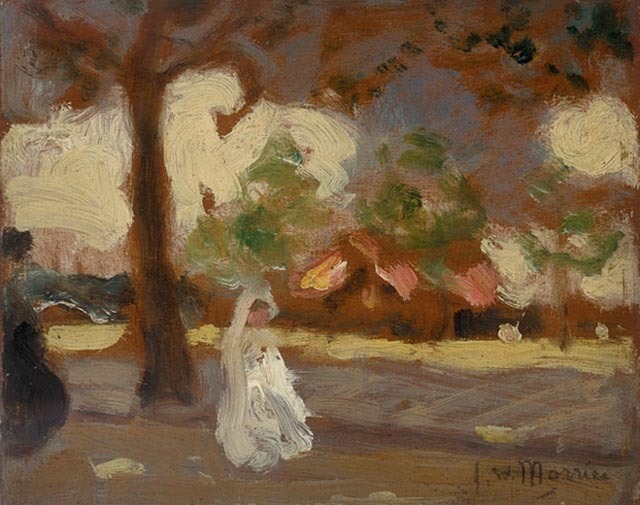 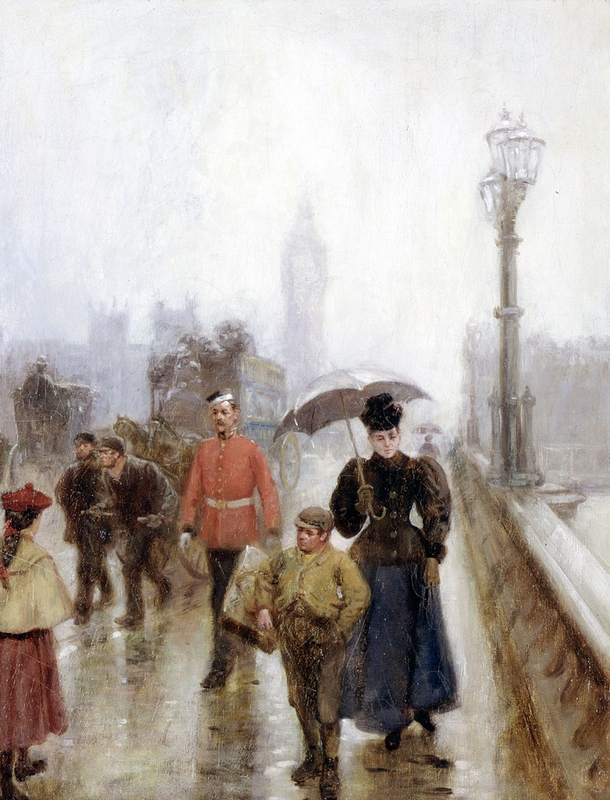 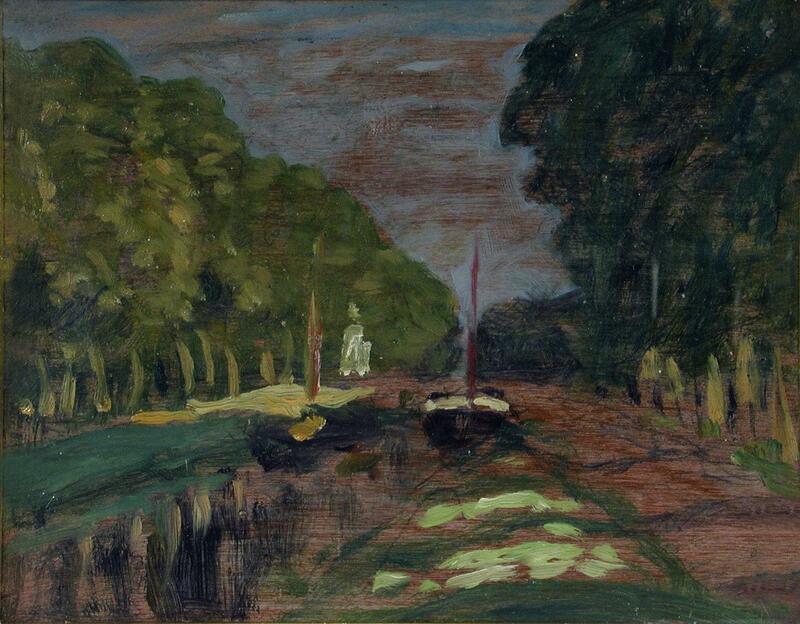 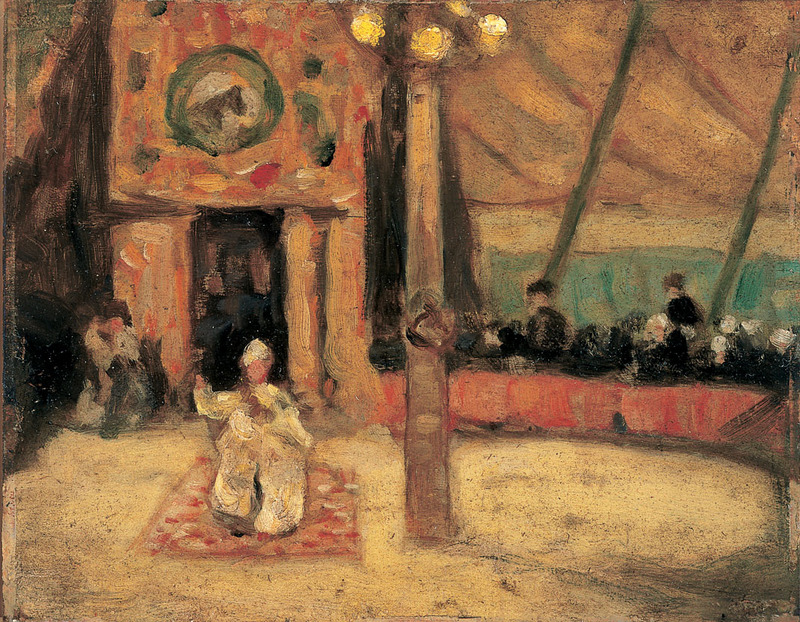 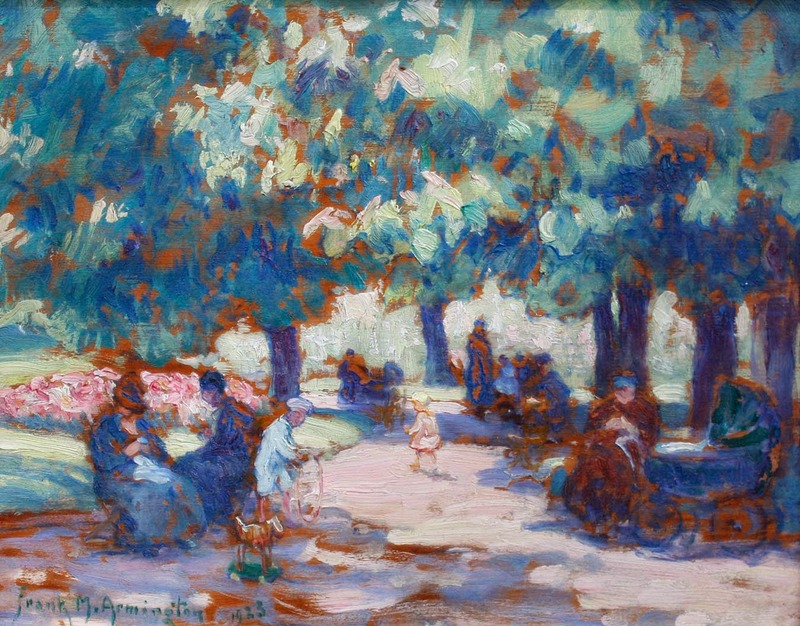 Morrice exhibited regularly at the Salon d’Automne in Paris, and at the International Society of Sculptors, Painters and Gravers in London. 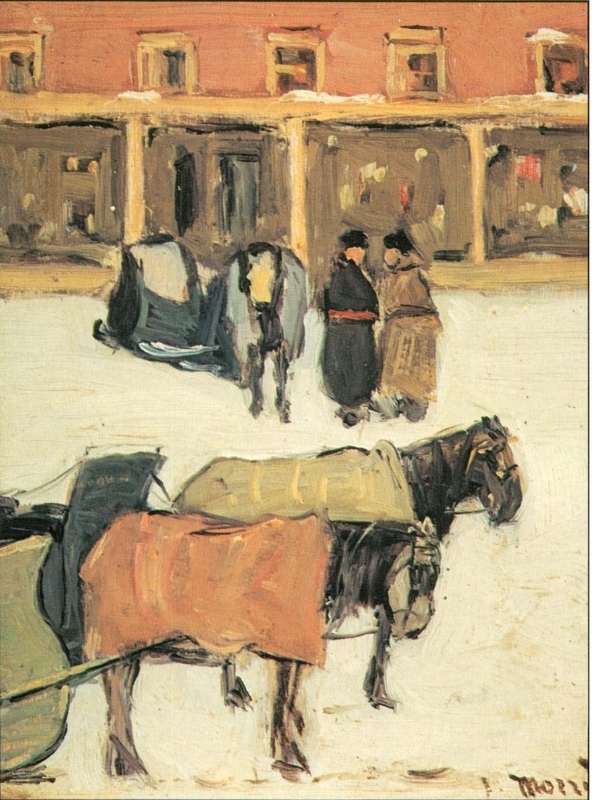 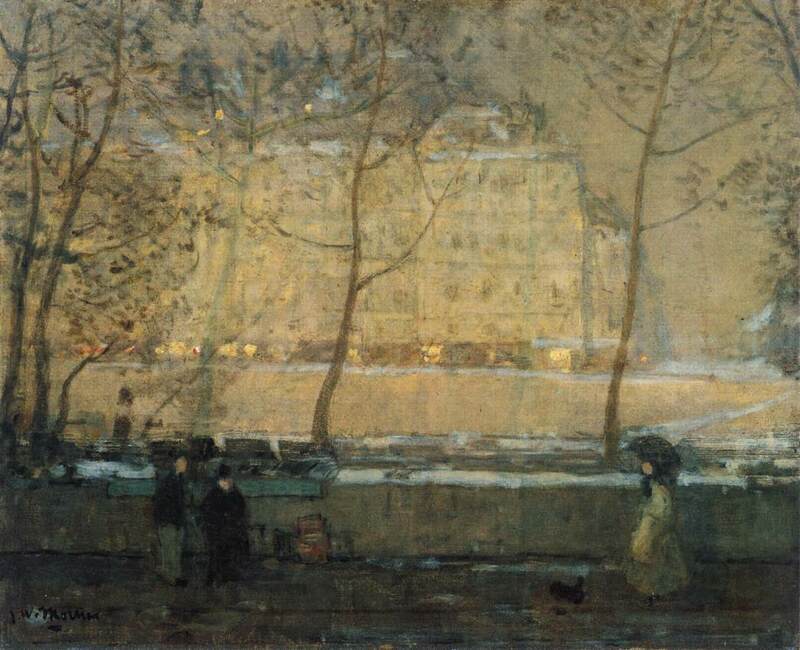 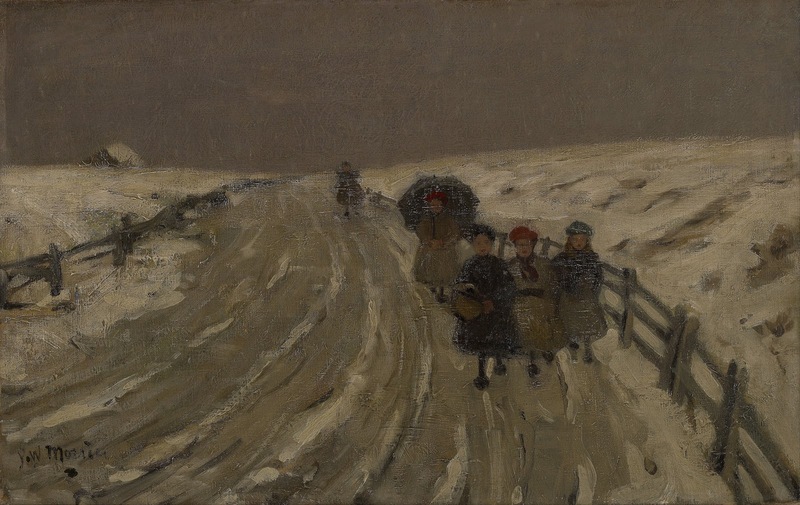 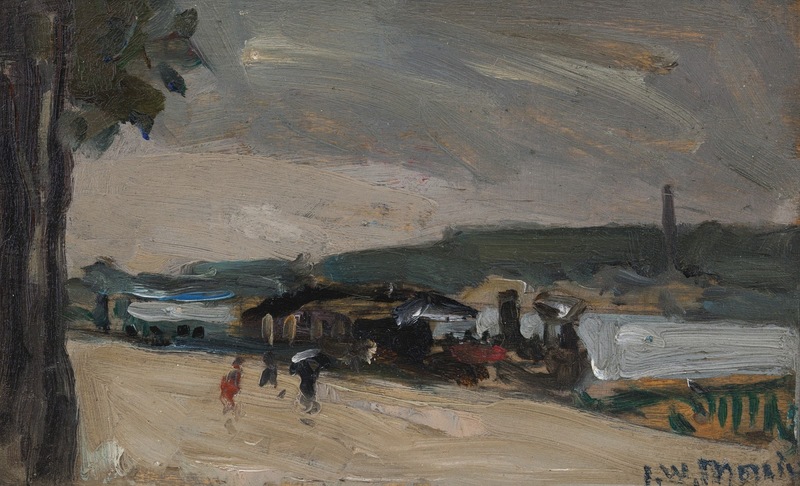 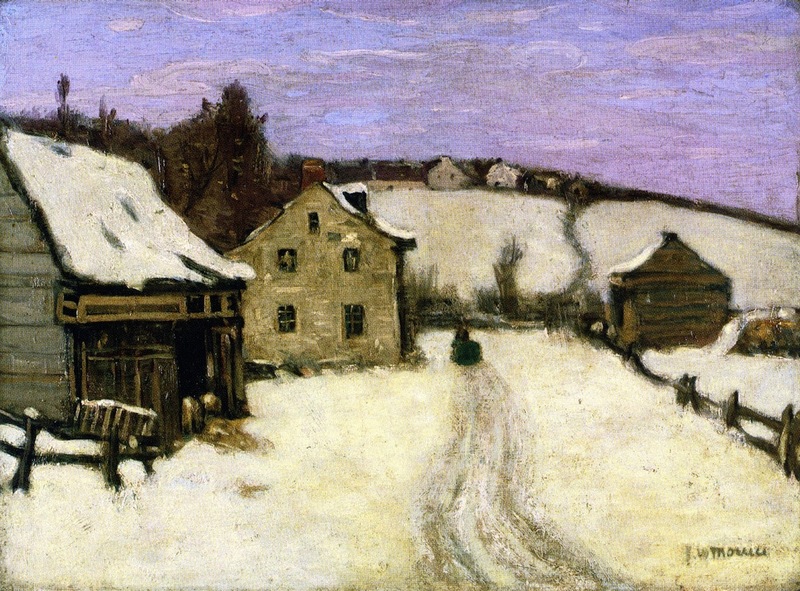 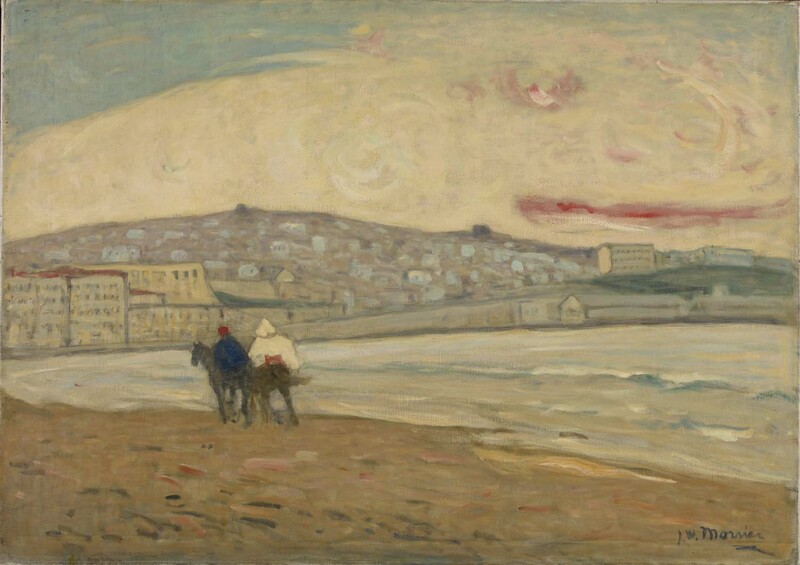 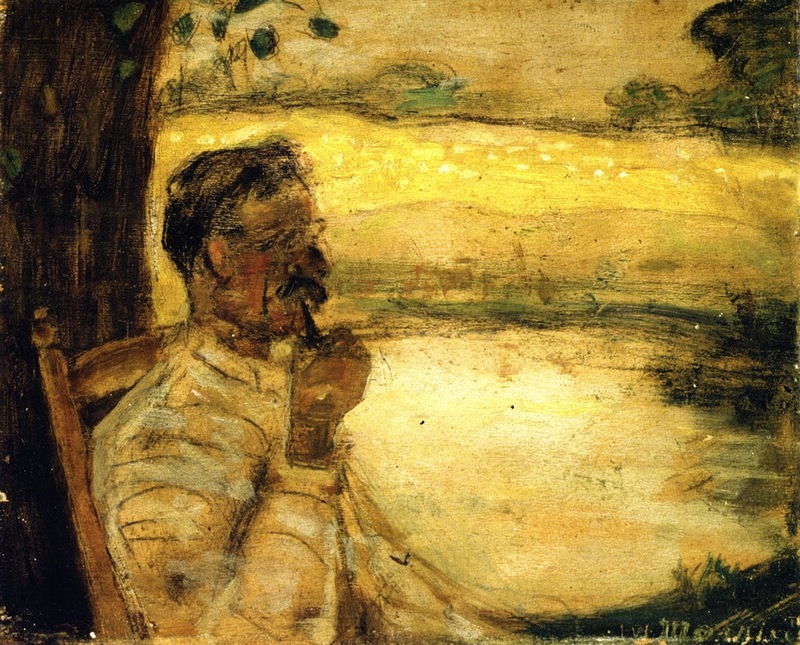 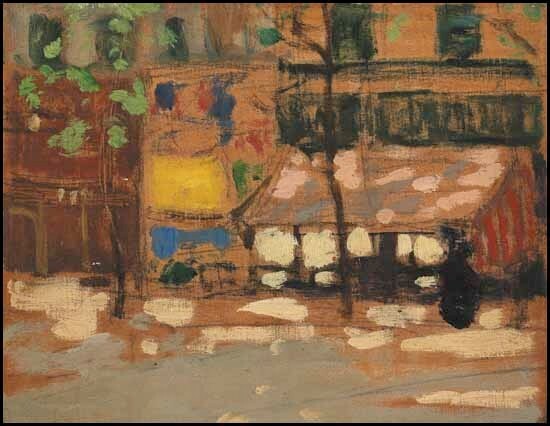 James Wilson Morrice, pittore Canadese, è nato a Montreal nel 1865 Abbandonando legge, si recò a Parigi dove studia pittura. 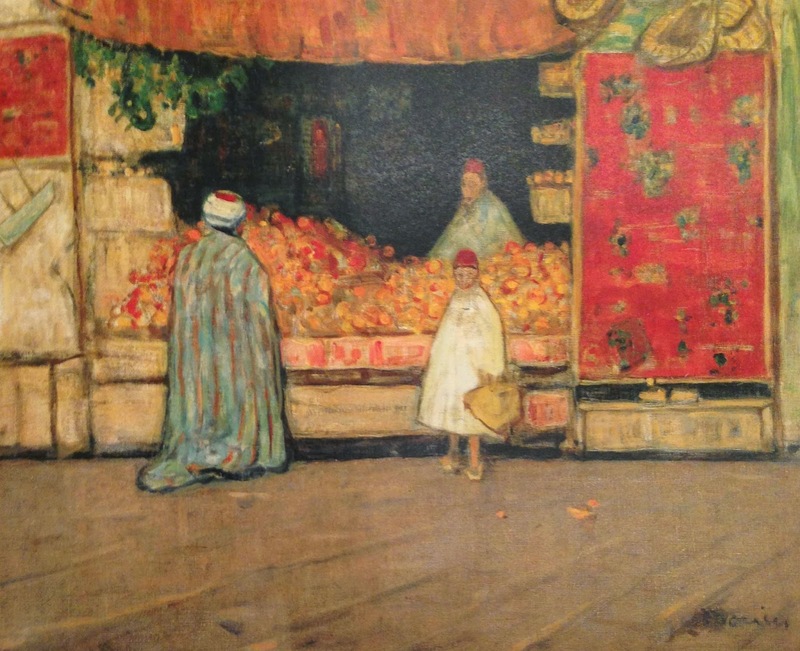 Ha visitato Venezia, Trinidad, Tunisi, e periodicamente tornò in Canada. 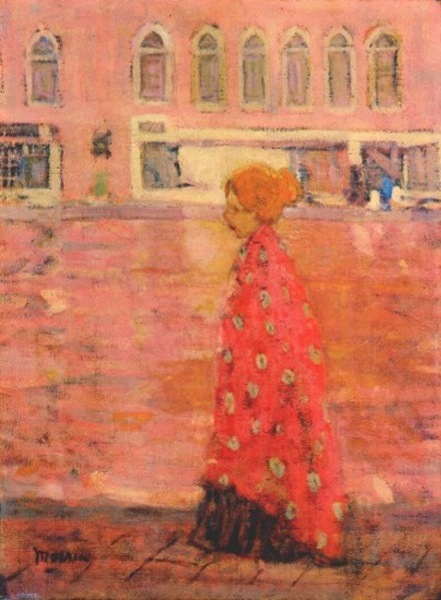 Ammirato per la sua sottile e delicata colorazione rendering di paesaggi, Morrice ha fortemente influenzato i giovani artisti canadesi.